The head of the government Environment Agency has issued a stark warning on water shortages and urged businesses and households to cut usage. 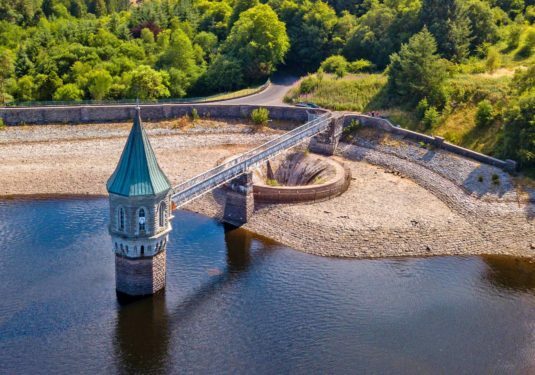 Sir James Bevan told delegates at the Waterwise Conference in London on Tuesday (March 19) that England would not have enough water to meet demand unless we act now. The pressure on water supplies is coming from the impact of climate change and from population growth. Sir James did not mince his words, saying that the country faces “an existential threat. To our economy, environment, security, happiness, way of life. We can choose to ignore this problem. Or we can choose to tackle it”. He says that wasting water should become “as socially unacceptable as blowing smoke in the face of a baby”. Unless we all take steps to use less in 20 to 25 years, England will reach the “jaws of death – the point at which, unless we take action to change things, we will not have enough water to supply our needs”. While the warnings are bleak, Sir James points to the simple fact that there is a solution to shortages and it’s in our hands – taking action in our businesses, other organisations and homes to reduce demand. At SaveMoneyCutCarbon, we have been making the case for better water management since we launched seven years ago. As we’ve grown rapidly, we’ve seen growing interest in products and solutions that help homes and businesses to reduce usage. Sir James set a target for all in his speech, which echoes the Waterwise goal, to reduce use by a third. In England, people use an average of 140 litres of water a day and he urged everyone to cut their usage to 100 litres. This is achievable if people invest in water-efficient products like eco taps, which reduce water use by 50% and eco showers, that achieve the same result. In both cases, people will not feel any difference, as long as the products are well designed and manufactured to high standards. Even the use of tap aerators can reduce consumption by half, if a household or business wishes to keep current taps. And in all cases, the payback is swift if charges are levied through metering, while further savings are made with lower energy consumption, needed to heat and pump the water. And in all sectors of the economy, from large corporations to SMEs and in education, the NHS and local and national government, can take effective steps now by investing in these solutions, along with low flush toilets and waterless urinals, as well as self-closing and sensor eco taps. Sir James, a career diplomat, has been chief executive of the Environment Agency, which is responsible for protecting the environment and wildlife in England for four years and his appeal stems from the detailed data from the water companies, showing worrying trends on consumption and supply. He said that the danger comes in equal measure from climate change that will usher in hotter, drier summers and a rising population, which is expected to increase from 67 million now to 75 million by 2050. “So, climate change plus growth equals an existential threat. To our economy, environment, security, happiness, way of life. We can choose to ignore this problem. Or we can choose to tackle it,” Sir James said. At the same time water companies can do more by reducing leakage, and with more water metering. New building regulations are needed to drive greater water efficiency and there needs to be far more sustainable drainage systems, he said. People can change behaviour as well, by taking short showers instead of deep baths; turning off the tap off when brushing teeth and even giving up watering the lawn as “it will survive without you”. The clear and chilling warning from Sir James reinforces the government’s aims to reduce water use and loss, outlined in its 25-year environment plan. Less demand and reducing leakage by 50% would provide enough water for an additional 20 million people without taking any more from the environment. It’s definitely achievable with the investment in water-efficient products and changes in the way we use water too.